American Pipits came very close at Silver Lake (Dayton, VA), WIlson's Snipe was a new species for me. Some photos here just for ID, including Red-shouldered Hawk and Tree Sparrow. We birded an area from west of Bridgewater north to the west and just north of Harrisonburg. 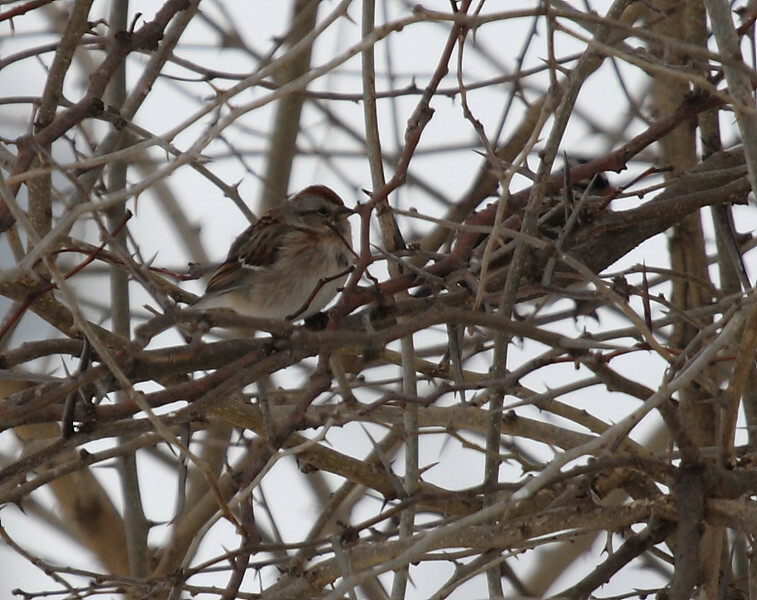 American Tree Sparrow, Fort Lynn Rd.